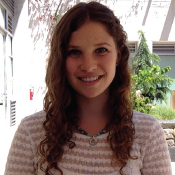 Jessica is a recent graduate of Industrial Engineering and Operations Research from UC Berkeley’s undergraduate program. She joined TSRC in June, 2015 where she is researching carsharing, ridesharing, bikesharing, and other shared-mobility projects. She is most interested in the development of innovative shared-mobility services and their effects on the proliferation of multi-modal transportation in urban settings. Jessica received the Institute of Transportation Studies’ Outstanding Undergraduate Research Award in May, 2016. She is now working on her PhD degree with Professors Susan Shaheen and Alex Bayen.